Hydroponics is growing a plant without soil usually in an inert substance such as rockwool, perlite, or a soilless media to hold the roots for water and nutrient absorption. Hydroponics dates back several hundreds of years as there is evidence that ancient civilizations grew plants in water. Nutrients are vital to the success of growing. There are 16 essential elements that a plant needs to grow and the right balance of these nutrients must be maintained for each specific variety of plants. Equally as important as nutrition are the factors of light, temperature (heating & cooling), CO2 and overall environmental control. Insects play a key role in pollination and pest management. When you combine all of these factors, you have a controlled environment which is a hydroponic greenhouse. The main benefits of hydroponics include plant productivity, getting a high yield per plant per square foot, and having "fresh produce". 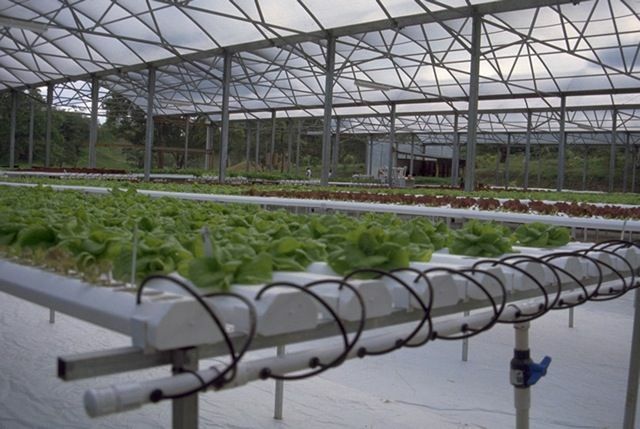 Today, there are many varieties of plants grown hydroponically serving many different market segments such as farm stands, grocery stores, restaurants, processing plants and institutions. 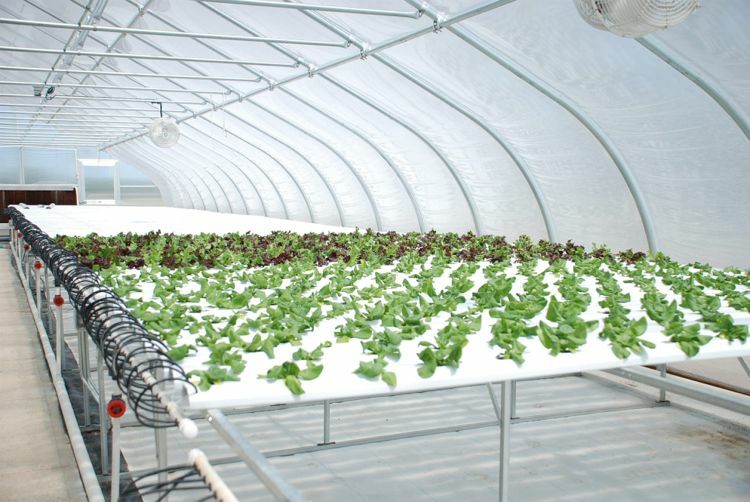 Hydroponic operations vary in size from small operations (less than 1,000 square feet) to large operations with many acres being farmed. At Our Greenhouse Systems, we believe that hydroponics will be a growth area of the future due such factors as the rising global population, climate change, people desiring healthier lifestyles, and more food born diseases from conventional farming practices. 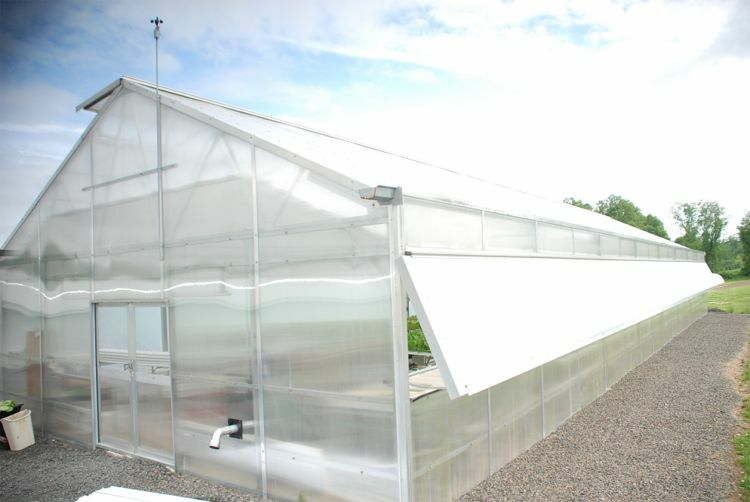 We take an individual approach with every customer to design and build your specific greenhouse factoring in your crop type, location and overall budget. 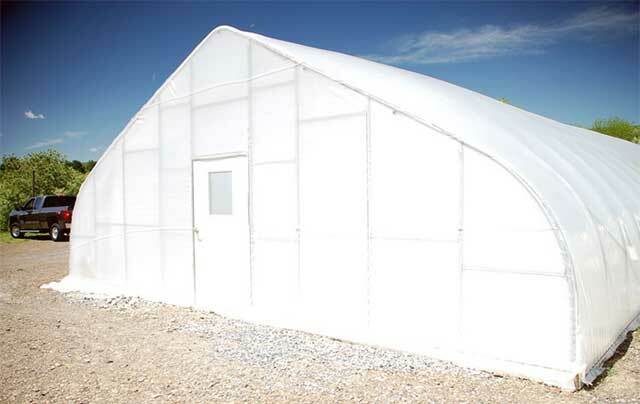 We do not sell "cookie cutter" greenhouse packages. Our experienced sales professionals will closely assess your needs to determine what type of structure is best suited for you and then outfit your greenhouse with the correct environmental control systems. Contact us so that we can be a part of your business plan for success to meet today's agricultural demands Hydroponics is growing a plant without soil usually in an inert substance such as rockwool, perlite, or a soilless media to hold the roots for water and nutrient absorption. Hydroponics dates back several hundreds of years as there is evidence that ancient civilizations grew plants in water. 22' wide x 28' long Gothic Arch North Greenhouse, 4' high sides before the bend begins on the bow. Includes framing steel and hardware for each end wall . One 4' x 6' 8" insulated, lockable pre-hung door. Each end wall has 8mm triple wall polycarbonate and all hardware is included . Double layer of 6 Mil, UV treated polyethylene film plus inflation kit and wire lock system for attaching poly to the greenhouse. Two exhaust fans, two intake louvers and thermostats for cooling and ventilation of the greenhouse . One 100,000 BTU high efficiency LP or natural gas heater with heater hanger kit, vent pipe assembly and thermostat .